New feature in Renzoku Drums 1.0.1. Renzoku Drums 1.0.1 out now on the AppStore. This version includes a new feature (Sound setting). 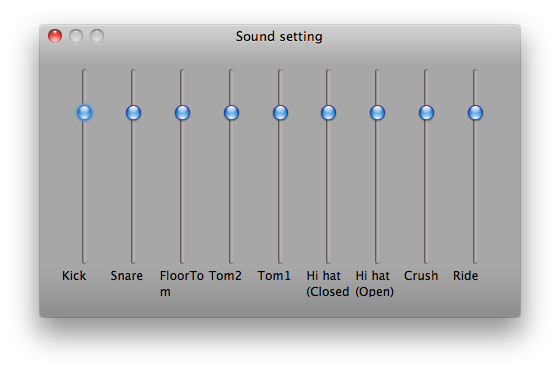 The volume of each instrument can be adjusted with sliders on Sound setting screen. A photo app for people with deficient color vision. Our first Apple TV application is now on the store!